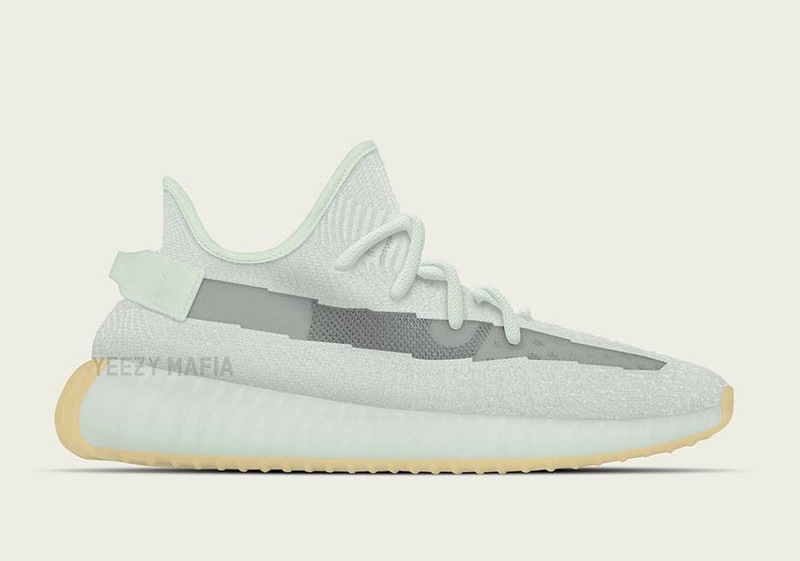 It appears that Kanye West will be unloading a number of see-through adidas Yeezy Boost 350 v2s in 2019, as the new “Hyperspace” version you see here is set to join the “Clay” variety shown earlier in the month. Borrowing the aesthetic from the two Static Yeezy 350s from December, 2018, their usual SPLY-350-branded midfoot stripes now act as a window into the cushioning of one of the more comfortable sneakers $220 can buy. While that stripe is clearly this iteration’s hero, it comes offset by an attractive shade of soft mint while a gum bottom sole adds classic sneaker industry touch. Similar to the aforementioned Clay variety, it is being reported that the Hyperspaces will drop via some sort of special release, lending to the possibility of an exclusive pack, much like the revered “Black Friday” trio from November of 2016. Keep it locked for updates regarding the next 350 v2 and be sure to check out our adidas Yeezy 2019 release page for more on the burgeoning brand.